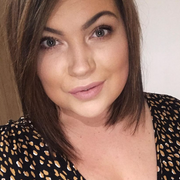 Hello lovelies, I've been wondering all this week what to do in the half term, obviously the usual, getting crafty, playing with toys etc but I want to do more things outdoorsy especially as I'm trying to loose weight now too and be more active. Oscar loves going on his bike and scooter but something he has been asking for a lot is roller blades/skates! I keep panicking every time he asks because he is terribly clumsy but Proline skates have an unbelievable range of roller skates! I have browsed and browsed and so has Oscar with me, I think it would be fun if we could skate together then we can hold each others hands if were anything like we are ice skating. 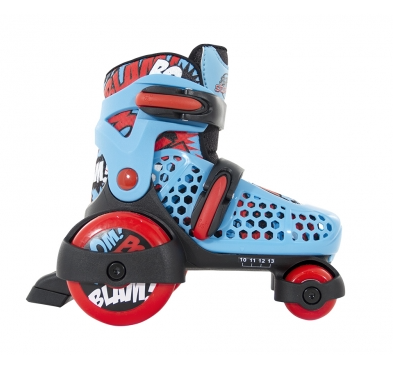 I have looked on their website and come across these SFR Stomper Boys Adjustable Roller Skates, very reasonable priced and they look super funky, a lot of roller skates I usually see aren't really that appealing on the eye but I love these, they also look quite safe for him, I would obviously pad the hell out of him and probably hold his hand most of the time but they look the best fit, they have grip to the wheels and wider for extra stability which is great for the younger skaters and they adjust to go up to four sizes so for just over £30 I'd say that is a massive bargain and plenty of practise! Then I looked at a pair for me, I'm not going to lie the picture above is what I would prefer but they sadly don't do them in adult sizes, what a bummer! 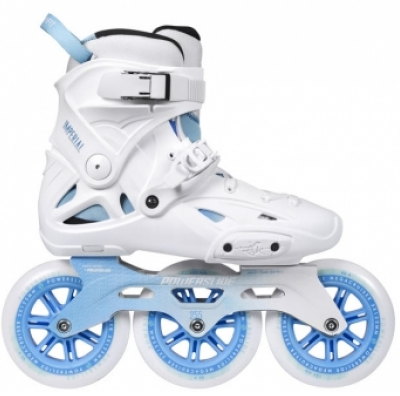 So If I was to join Oscar in his skating I would pic the Powerslide Imperial Mega Cruiser Inline Skates, which is crazy because they sound like a skate for professionals but how pretty are they? Me and Oscar would look pretty funky together in these, I actually saw a mom at the school run in skates and thought I'm definitely not cool enough to pull that off! But with these gorgeous skates it could be possible, even for me. I would even have Lawson to hold me up thanks to his pram, a work out whilst having fun! Proline skates also sell skateboards, scooters and footwear so you would have plenty to choose from to pick your outdoor activity for next week but I am really swaying to the idea of getting us both a pair of skates now! Daddy works away all week so there is no point in him getting some because he can't join in our fun. Have you got much planned for next weeks half term with the kids or fancy skating with your friends? 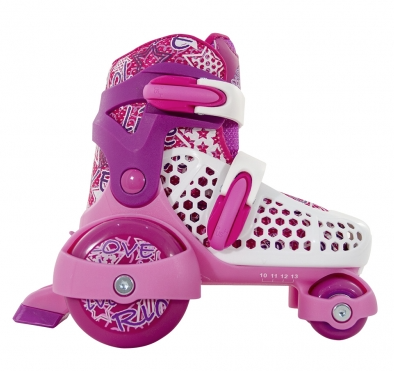 *This post is written in collaboration with Proline Skates but all opinions and choices have been my own and honest.